Voters from both Oregon and the nation’s capital have voted in favor of the recreational use of the drug thus bringing the matter to the state officials to decide how cannabis will be publicly sold and taxed. 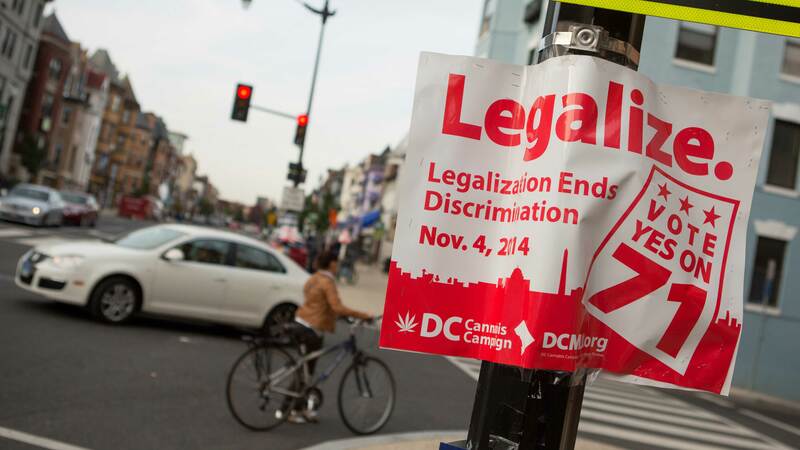 Voters from Washington, D.C. have approved Initiative 71, with 65 percent of voters in favor, which legalizes adult marijuana consumption, possession of up to two ounces and home cultivation of up to six marijuana plants for personal use. Under the new measure sales of the drug will remain illegal, however, as this creates a situation where having marijuana would be legal but getting it might require illegal acts, the Council of the District of Columbia is about to contemplate a new bill that would regulate and tax the sales of marijuana, in similar manner to laws in Colorado and Washington State where marijuana was legalized two years ago. Even though the sales in the capital are still illegal, it is now safe to declare that the passage of this law in the home of federal government represents a new significant shift in U.S. marijuana policy. The Washington Post raised many eyebrows when it came out against the ballot measure just a couple of weeks leading up to the vote. Voters from Oregon voted in favor of Measure 91 with 54% of voters on board. The campaign “Yes on 91” had turned to Facebook in search for younger supporters where it has collected a significant number of likers. Under the measure, Oregonians of age 21 and older will be able to possess and consume marijuana starting July 1 of 2015. Adults will be able to have with them up to one ounce, and have up to eight ounces at home, per household. Each household will be allowed to grow four plants at a time – for personal use. The Oregon Liquor Control Commission will regulate the sale of marijuana. Taxes collected on sales of cannabis will go to fund schools, law enforcement, drug prevention and education programs in the state. People of legal age will be allowed to purchase marijuana in limited amounts, from licensed retailers. Most likely, it will take around two years to set up the legal framework for recreational marijuana possession, use and sales. The regulations will also include instructions on where people can use marijuana – places such as proximity of schools will be prohibited. The same goes for driving under the influence. While the plant remains banned by the federal government, which classifies it as a Schedule I drug along with heroin and LSD, it has been legalized for medical use in 23 states and the District of Columbia, including Oregon in 1998. It was only many years after – in 2012 that Colorado and Washington became the first two states to legalize marijuana for recreational use. Two new government forecasts project that marijuana sales could deliver more than $800 million in revenue for those two states before 2020.